Bringing together all existing diaspora organizations of Azerbaijanis, Gurshad Gulmaliyev, the Chairman of the Azerbaijan Society of Karelian Azerbaijanis said in an interview with Trend that all Karelian Azerbaijanis come together as one Society - Azerbaijan. 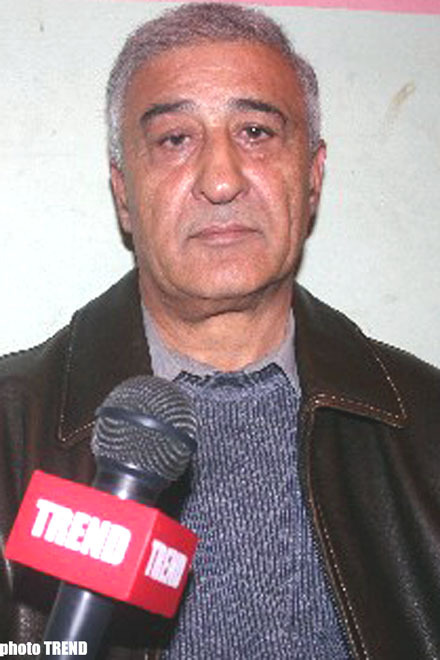 According to him, plans have been drawn up which includes the acquisition of an office in the Capital catering for 150 people and opening of an Azerbaijani cultural center, a Sunday schools to teach the Azeri language and Azerbaijani culture to Azerbaijani children as well as to hold exhibitions of children's pictures and needlework of Azerbaijani masters. Negotiations have already been held with the local private TV Company Nika+ with regards to creating a television broadcast featuring the Azerbaijani culture, music and its local cuisine. It is important to demonstrate that Azerbaijanis do not work only in markets, but that there are many professional Azerbaijanis such as intellectuals and scientists, etc., Gulmaliyev stressed. Answering the question regarding what methods the bodies of the state power and local self-government are taking to further represent the Azerbaijanis, the Chairman of the Azerbaijan Society replied that such measures are being taken and presently they are continuing very actively. Azerbaijanis do not live only in the capital but other regions of the Republic. For instance, many Azerbaijanis live in Segeji. We actively participate in all social-political and cultural measures in the City because it needs to demonstrate our culture, music and cuisine to the local population and other nations. The Mayor of Petrozavodsk City meets us once every 3 months with the head of the republic and the members of the government, Gulmaliyev stressed, paying attention to the good relations with the Head of the International Relations Department of the Regional Development Ministry of Russian Federation Alexandra Juravski, Commissioner on Human Rights Vladimir Lukin and other senior officials of Moscow. Touching upon the events happening in Kondopog, Gulmaliyev stressed that they do not portray the image of the normal Azerbaijani community. We are not aggressors. We did not initiate this incident. This was a question of business and the division of property which has been ongoing for a long time resulting in 3 - 4 representatives of authoritative criminal groups taking matters into their own hands. They have since regretted their actions realizing that it would not influence the international contradiction, the Leader of Karelian Azerbaijanis pointed out. Discussing the reasons of the Kondojop incidents, Gulmaliyev linked it with the issue that unfortunately there is no exact national policy in Russia on the state level. According to him, this Government and the President have always been criticized from the tribune of the State Duma. Unfortunately there are fascist-minded organizations in Russia against illegal migration, but Gulmaliyev does not consider that the intentional aggravation of the international relations meet the interests of the state polity of Russia. According to the information of the Federal Migration Service of Karelian Republic, 660 Azerbaijani citizens received temporary registration, and 31 citizens into permanent registration, in the territory of Karelia during 2006, and within 2005-2006, 30 Azerbaijani citizens received citizenship in Russia. According to official information, generally 1,735 Azerbaijanis were registered, but in reality I am sure that they are more, Gulmaliyev concluded.